"Expert motorcycle service to your door"
This is the moto that defines this business. We strive to offer only the best service for your motorcycle wherever you are. ​Why not have an expert come to your home and office and repair or service your motorcycle? No need to transport the bike to and from the shop. No need to leave it with them for the whole day for a service or weeks if it needs repairs (if you're lucky). 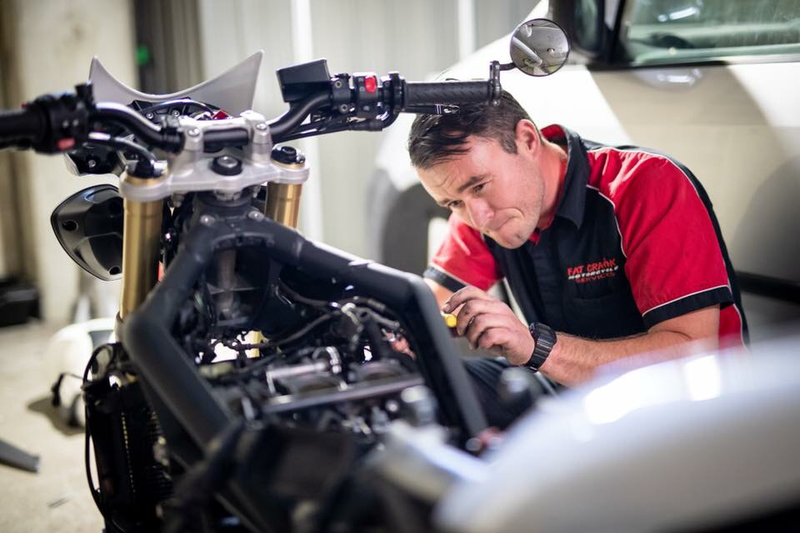 With over 18 years experience we're sure we can take of your motorcycle mechanical needs. Fully qualified, licensed and insured. 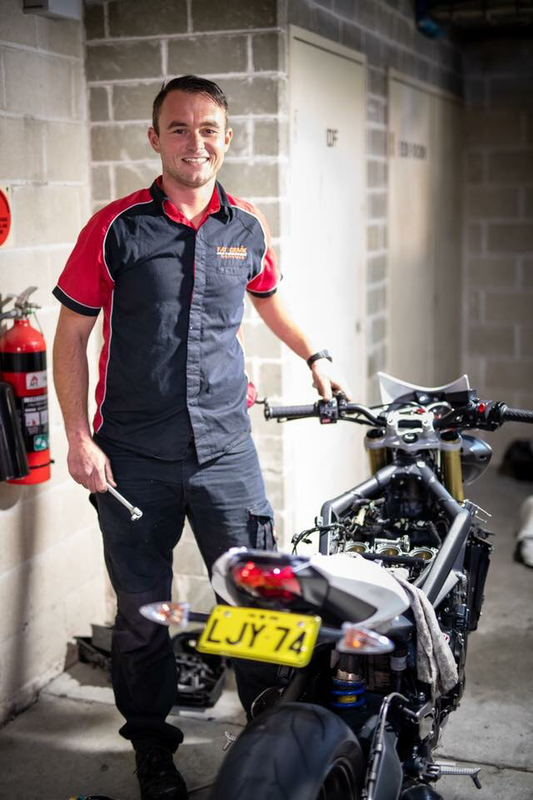 Erin Jones' experience in motorcycle repairs started at the age of 12 in 1995 when he rebuilt an old kawasaki road bike that had been gathering dust for years in his fathers shed. Erin commenced his apprenticeship in 2000 and has been working on bikes ever since. In July 2006 Fat crank motorcycle services was established. The mobile repair business was originally a part time pursuit, whist studying a mechanical engineering degree at University. The degree was put on hold as the business took off and has been the primary focus ever since.